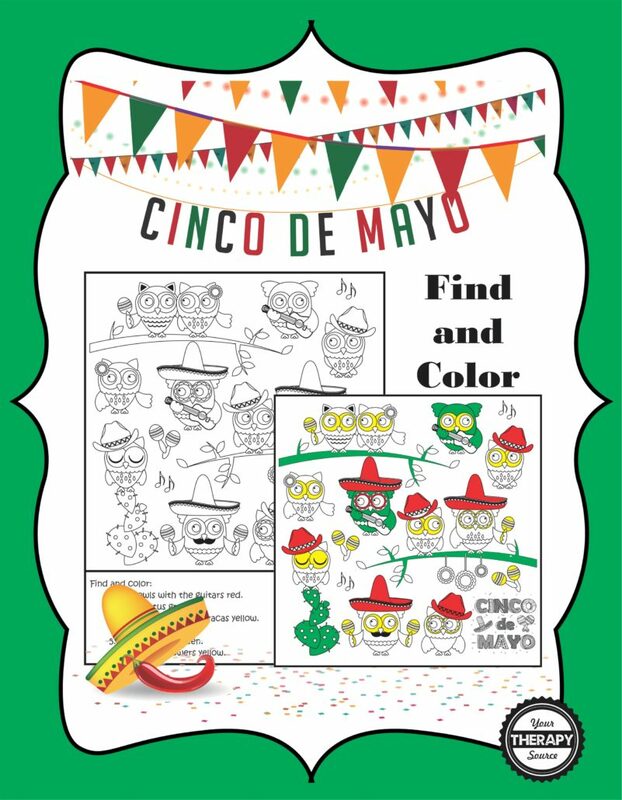 Check out this free visual discrimination and visual motor activity for Cinco de Mayo. Color the owls as indicated in the directions. You can download the freebie from Your Therapy Source. If you like this activity, you would like the complete Find and Color download.